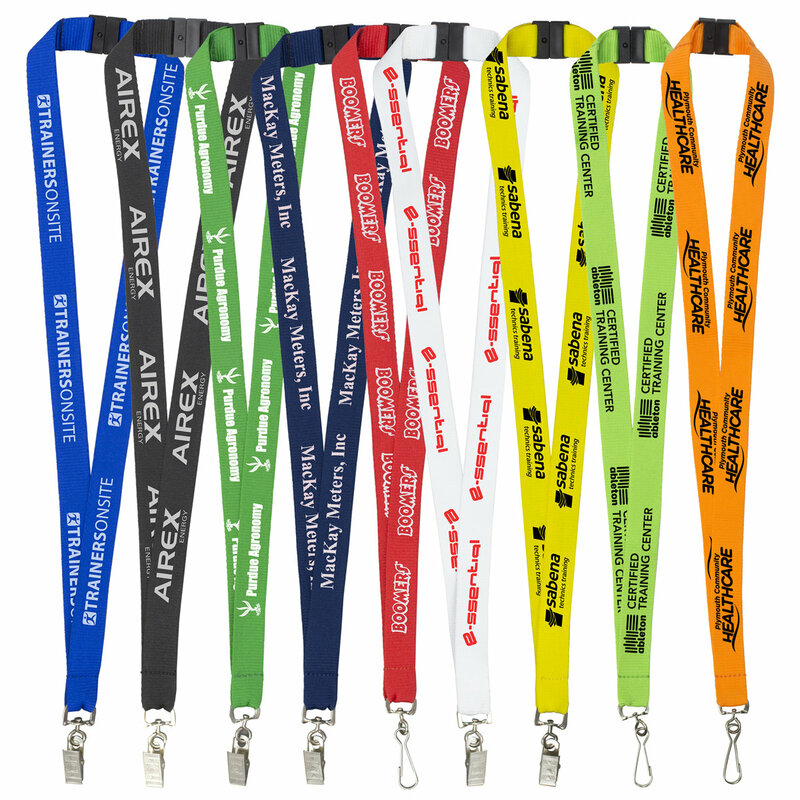 The popular size 3/4" width polyester lanyard with a silkscreen imprint on the front (left and right) side of the lanyard included in the price. NO extra charge for the metal bulldog or swivel clip attachment and NO extra charge for the must-have safety break-away release. Fast domestic production. For 2nd side imprint: add .25, 50.00 setup charge applies if different artwork used.